What Is A Poker Tell? - Casino Answers! 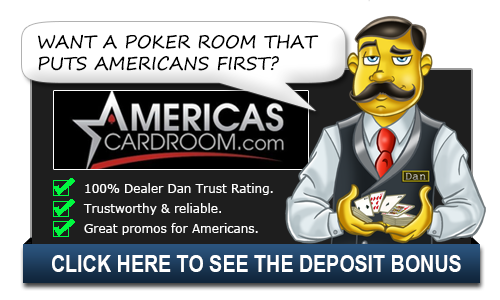 Casino Answers » Poker » Online Poker Beginner Q&A » What Is A Poker Tell? Have you ever heard or read people talking about poker using all of the modern jargon for how players behave at the table? If you have then you may well be a little confused about it all. There are so many terms for behavior in poker that it is difficult to keep up with the trends. However, one area of behavior at the poker table that you need to know about and avoid if you can help it is the tell. A tell is effectively a change in the way a player is acting at the poker table. More often than not, it is a very subtle change but one that you can spot and use to your advantage if you are facing someone in the most popular card game in the world. In order to capitalise on the tell, you have to not only be able to notice it but also to interpret it correctly. Some players tell unconsciously and thus their behaviour is reliable. However, skilled poker players introduce a tell into a game in order to fool their opponents. There are any number of tells that may occur. It all depends on the individual because obviously the individual player has unique behaviour to monitor. It may be facial expressions, breathing patterns, eye contact or any number of other cues. It is easier to tell a tell that is a show for your benefit because the behaviour tends to be stronger and more forceful. However, better hand tells will be much subtler and more difficult to notice. One of the most famous tells is in the movie Rounders which starred Matt Damon as Mike going up against a character named Teddy KGB played by John Malkovich. In the movie, Mike loses a large amount of money to Teddy and then later plays him again. It’s during this game that he spots the tell. This is a pretty old movie, but I am going to put a SPOILER ALERT disclaimer here just in case. If you keep reading, this movie will be spoiled for you. You’ve been warned. In the movie, Teddy KGB is eating Oreos as he plays. At the beginning of the movie, he slowplayed Mike and ate an Oreo. As he opened it, he put it up to his ear and listened to the sound of the Oreo splitting. Later in the movie, he eats another Oreo and when he splits it he watches it instead of listening. In this hand, he is bluffing. Finally, at the end of the movie when Mike sees Teddy open an Oreo and listen to it, he folds his hand. He states that he could keep playing, but he can tell that Teddy has a better hand so he is going to fold his good hand. After being called out on the spotted tell, Teddy freaks out. These are rather obvious tells when looked at in the grand scheme of things, but that’s because it’s a movie. A real player’s tells might be more subtle than that, but finding out how to spot them could lead to a very profitable poker career for you.